Capra X Womens Source Sandal, NEW Style! Another stylish version of the new Capra line of Source Sandals designed especially for a woman on the go. The multiple straps hold the foot for a comfortable, secure fit whether hiking thru a forest are hunting for bargains in the mall. Comfort and sturdiness of a sport sandal with the flare and style that goes anywhere, this new Capra X womens sandal is great summer footwear. 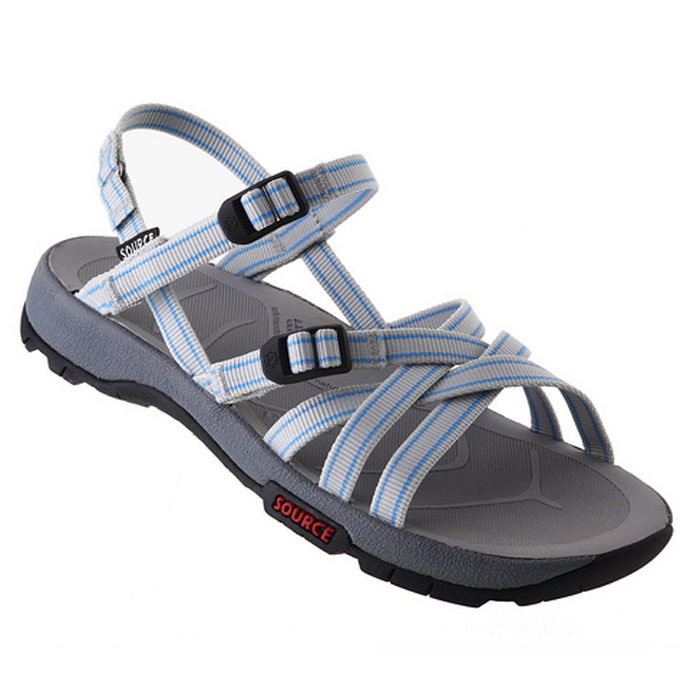 Whether on a family trek or just a walk thru the grocery, this crisscross, trademarked X-Strap design by Source Sandals looks great on your foot. New sandal design encorporates two tension lock adjustable clasp and A.R.T. GRIP (tm) outsoles and footbed, which ensure that your feet are securely fitted to the sandal. Go straight to the Source - buy your own pair and see for yourself! Source sandals are made by hand in Israel, in the Source Vagabond Systems factory in Tirat Hacarmel. Workers craft the sandals in their entirely, rather than working on an assembly line. Each pair is then stamped with an ID number, so it can be traced to its maker. 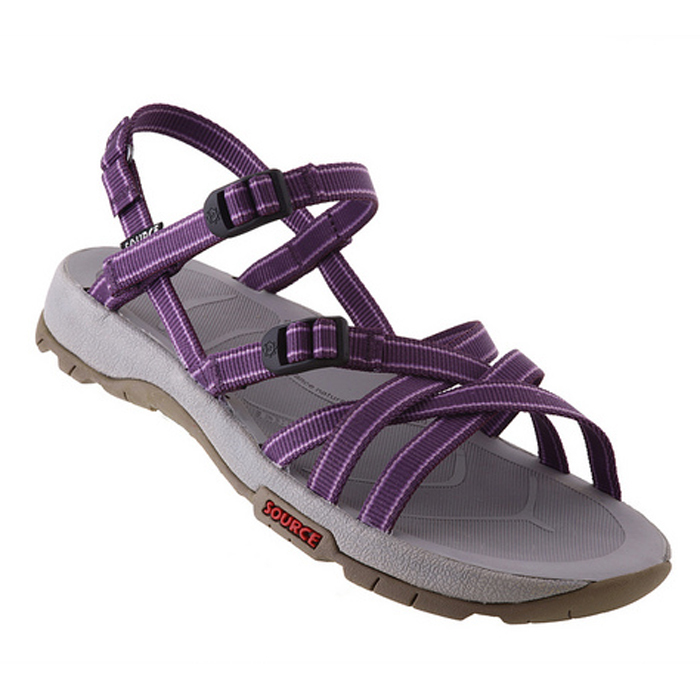 Available in womens sizes 36-42 in Lilac, Red, Turquoise, Light Grey and Purple straps. Every pair of Source sandals comes with the Green Dot Guarantee – rather than issuing a guarantee for an arbitrary period of time, Source will honor the warrantee on its sandals as long as the green dot on the sole is visible. X-Cross Patented Strapping System Combines 6 anchoring points with separate adjustments for the heel, arch & forefoot straps. The heel arch forefoot straps correspond perfectly to the foot anatomy and firmly holds the foot in place even during the most demanding of activities. No other strapping system does this. 3-Layer Construction Provides the perfect balance between foot contact and ground contact, while maintaining shock absorption and light weight properties. Green Dot Guarantee Based on the miles you walk, not the time you own your sandals. Our guarantee remains valid as long as the green dot is visible on the sandal sole. Embedded video for Capra X Womens Source Sandal, NEW Style!